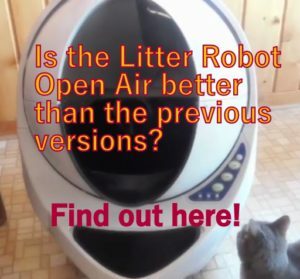 People always want to choose the best automatic pet feeder for their cats, but do they really get the best unit for their type of cats? 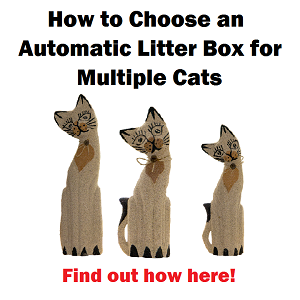 In this article, I will explain how to choose an automatic feeder that will satisfy the requirements of your feline friend according to its main characteristics. 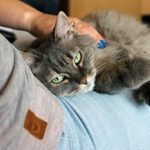 Not all cats require the same solution— it depends on whether your cat is overweight, a gobbler or a mischievous kitty. Read this article to find out how to select the best one for your pet. Capacity to dispense at least 5 meals per day. Ability to dispense small portions for each meal. The feeder needs to be cat-proof. When cats are overweight they eat more frequently. To cut down the feline’s daily food intake the automatic feeder must have the ability to feed the kitty several meals per day, at least 5 times. This way the overweight cat will eat more often and will feel more satisfied, though eating less each time. This is important because if you have an overweight cat you can’t cut down drastically the amount of food from its diet. 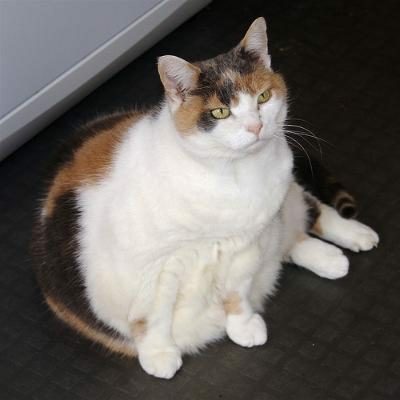 Fat cats usually have insulin resistance and you must make sure you don’t cause drops in your cat sugar levels. That’s why it’s so important to feed your cat several times a day. The automatic feeder must have a mechanic internal system that allows to dispense very small amounts of food at a time. If you want your cat eat several times a day, let’s say 5 or 6, the portions must be small so your chubby cat will eat a healthy amount p/day. 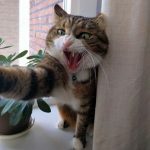 For example, if the feeder dispenses 7g-10g as the minimal portion you will be able to feed your cat several meals per day, keeping your cat food intake under control. There are various automatic feeders that dispense a teaspoon or tablespoon as a minimal portion. 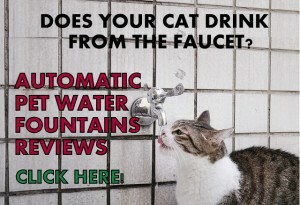 You must get this type of feeders to efficiently and safely put your cat on a diet. Overweight cats are obsessed with food, that’s why they got chubby in the first place so you must get a device that is well protected. Get a cat-proof automatic feeder is not that easy, but in general there are some details you must pay attention to, such as the lid and the chute. The lid must shut with a locking system where it’ll be impossible for those paws to open the lid. The chute must have a protection so your cat won’t be able to stick its paws inside to get food. 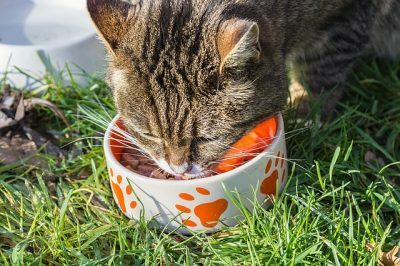 If your cat is a vacuum cleaner when it comes to food and you want him to slow down when eating, I recommend you to re-educate your feline friend first before getting an automatic feeder. 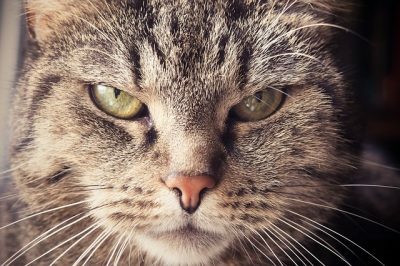 The reason is simple, even if the auto feeder dispenses a small portion, your cat will still inhale the food and then vomit after. A good way to re-educate your cat eating habits is getting a treat or food toy dispensers. Instead filling up the toy with treats you can put the dry food and let your cat work for its food. 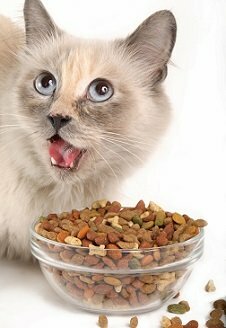 This way your feline friend will be forced to eat one kibble at a time and this will help him to slow down. 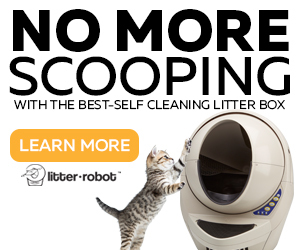 Once your cat gets used to eat slower, it’s time to get an automatic feeder. Another option is feeding your cat with the Wireless Whiskers. This is a gravity type feeder with an automatic control little transparent doors that shut and lock the food if your cat eats too fast so your pet won’t be able to eat too much food at once. 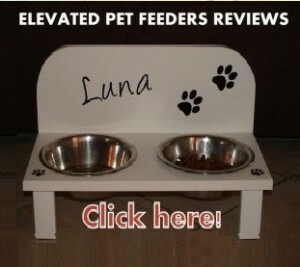 This way he feeder controls your pet daily intake throughout the day. The small doors of this feeder have a selective control and they open by contact with the RFID collar tag that the cat needs to wear. When a cat is strong, clever and aggressive when it comes to food, there are not very many brands that can survive its “attacks”. You must make sure to get an automatic feeder with a large footprint and a good capacity to hold food, so this gives the device enough stability without the chance of being tipped over by your pet. In general, the feeder design must be hard to knock over, with a wide base. Don’t get any of those automatic feeders with thin plastic food hoppers, you will be wasting your money. 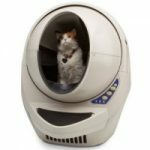 Well designed automatic feeders are the Pet Feedster CAT, the PetPal auto feeder that is made of stainless steel or the PortionPro RX with a sturdy cat-proof design. Another option is getting an automatic feeder that can be mounted on a wall away from the cat’s paws, such as the CSF-3 Super Feeder. 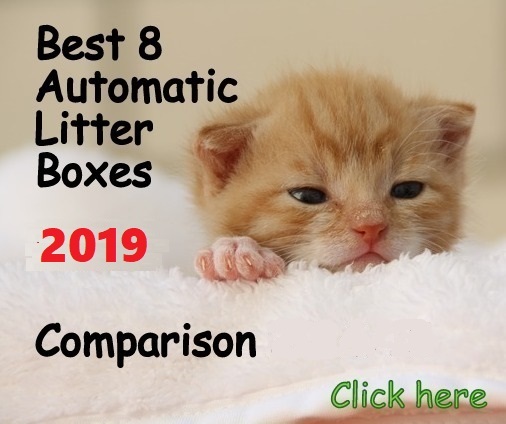 These tips will help you to get the right automatic feeder for your cat, according to your pet’s characteristics and idiosyncrasy. 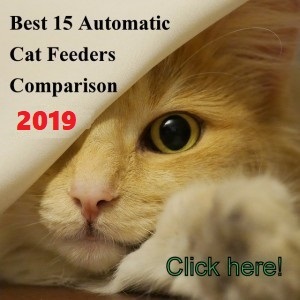 On this website you can search and find full reviews of automatic feeders according to your type of cat . Good luck in your search! I’ve had my Feed and Go Automatic pet feeder for almost a year. Unfortunately my pet sitter damaged the plastic sturdy tray by cleaning it with an abrasive product. The inserts of the tray is scratched up. I’ve tried to purchase a new one thru the Feed & Go website and thru Amazon. No one has been able to sell me a replacement tray. Hi Tasha, unfortunately, it seems like the Feed & Go is not available for now. I don’t know if they will carry it again. Sorry about that!